What Does a Motherboard Do for Gaming? In the previous article, I introduced you the Intel Core I 8th generation (Coffee Lake) along with the Z370 motherboards. I have also instructed you to attach the CPU to the socket on the motherboard and now to the next part: choose a cooler and install it. 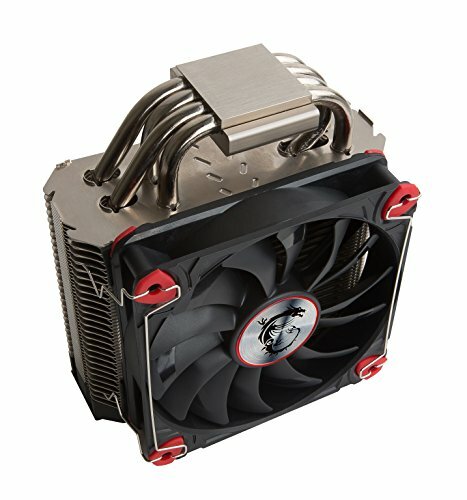 How heat pipes and aluminum heatsink cool down the CPU? Why are heatsink so big? What is the role of heatsink? And the fan too? Air coolers come in many sizes. Does size matter? The cooler is a computer component that helps reduce the CPU's heat because the CPU must be cooled to maintain the performance at the highest possible level. An inappropriate cooler, having not enough power, will damage the CPU as well as other components such as RAM, M.2 storage, etc. CPU, overheating over a long period of time, will reduce performance and longevity. If its threshold is exceeded, the CPU will shut down itself or even be broken. CPUs, such as the Coffee Lake, currently have a maximum operating temperature (Tj - T Junction) at 100oC. Although the safe level for the CPU when operating is likely to be below Tj 20 oC, around 80oC, the ideal temperature is still a debate. Most people assume the cooler CPUs will have better performance; however, some other say CPUs should run at average temperature because semiconductors will not function well if it is too cold. At present, there are two popular types of the cooler which are Air Cooler (using aluminum foil with fan) and Liquid Cooler. The first one is the CPU cooler attached when buying a CPU. 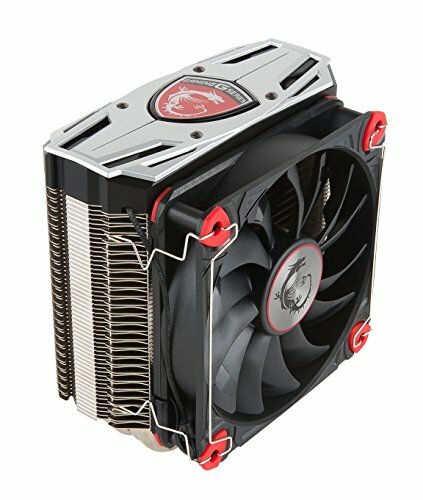 This cooler is very popular, if you buy a CPU with a box, you will usually get a Cooler. Though this cooler is not well designed, it operates well enough to cool the CPU that comes with it. Therefore, if you want to save money, then you take advantage of this fan. 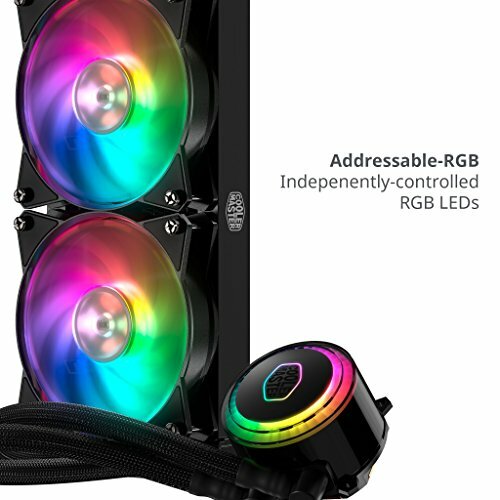 But if you have higher demand such as overclocking or want the CPU to perform at its best and still cooling, then you can invest in a better air cooler for long-term use. Basically, the cooler is a device helping to bring heat from the CPU to the outside. So, the cooler needs heat pipes that is made from copper and has aluminum heatsinks to absorb as well as diffuse the heat. The air cooler usually comes with a fan to speed up the diffuser. This is the most basic design of the air cooler, using in both desktop and laptop. 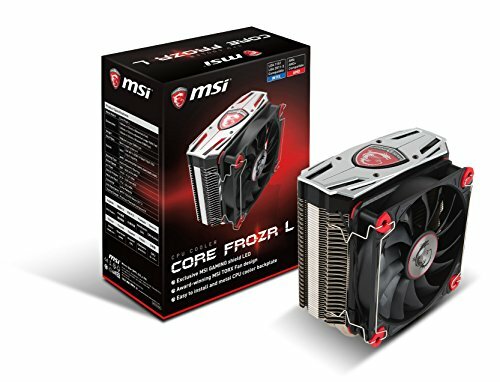 How heat pipes and heatsink cool the CPU? I think this is a question of many people and by this I want to explain more specifically. Inside a heat pipe (or a pipeline in laptop) is a coolant, usually an ammonium compound with ethanol or distilled water. This coolant is put into a heat pipe, only a small amount, then the heat pipe is vacuumed and welded. Do you notice below that all air coolers have a surface exposed to the CPU? This surface is made of highly conductive material. Also, on top of the CPU, there is a conductive cover that protects the internal CPU and to conduct the heat from CPU to outside faster. We will apply thermal paste on the surface of CPU's cover. 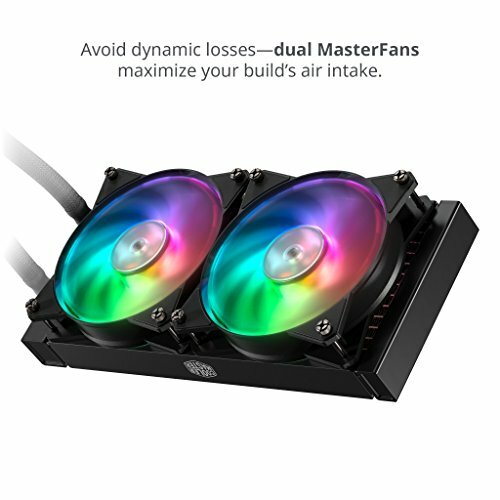 Hence, when placing an air cooler, you have to ensure that the CPU cover and the air cooler's surface are in contact with each other as best as possible. And, I will tell you more about thermal paste function and how to use it later on. The heat from the CPU, when in operation, is absorbed by the cover and passed to the air cooler's surface, then it will be led to heat pipes heating the coolant inside. This liquid will transform from liquid to air, a large part of the thermal energy will be released at this transition. Consequently, the air moves to the other end of the copper tube, starting the dispersing phase. In the dispersing phase, hot air moves to the other end of the copper pipes, where it is condensed. The hot air is cooled down here, turning back into liquid state and following the capillaries to the contact surface where they are exposed to heat from the CPU. 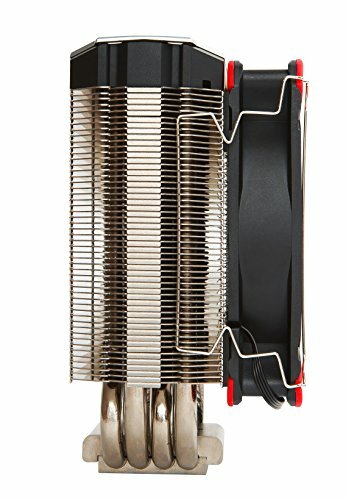 Why are heatsink so big? What is the role of heatsink? Heatsinks are made up of a large surface but thin aluminum foils which are placed very close to each other with high density. When hot air moves to the cooler end of heat pipes, the heat is absorbed and diffused by those aluminum foils. This hot air stream is also cooled by the air flow from the fan. As a result, when the air reaches to the end of heat pipes, the coolant’s temperature is low enough for changing back to a liquid state. 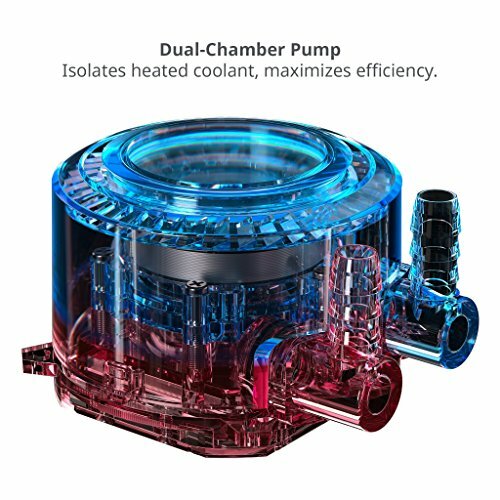 Currently, high-performance air coolers still have a traditional pattern, with a big copper tube and heatsink, two or even three fans. The liquid cooler has two types, closed loop, and open loop. The difference between these two types is that the closed loop can be used right away without much technical experience. By contrast, custom liquid cooler's installation is really complicated, and you will need more knowledge. 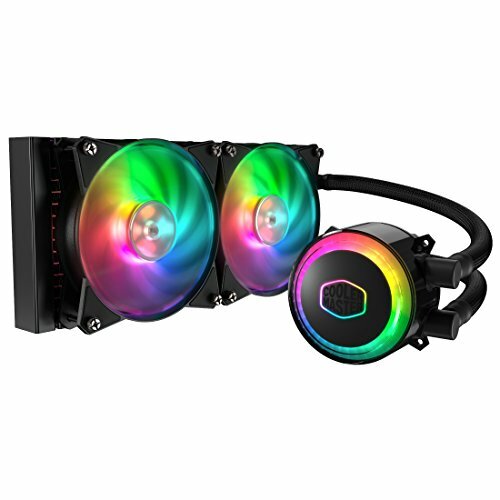 A pre-built liquid cooler is more convenient and cheaper than open-loop one. In this way, I personally prefer to use the closed loop. Yet, it is not as beautiful as a custom system, we are forced to sacrifice. First, liquid coolers also have a surface exposed to the CPU for heat diffusion, similar to the air heatsink mentioned above. The heat absorbed by this surface is diffused by a system of small copper foils located on the other side. Heat is transferred to the compound (usually a mixture of distilled water and ethanol) inside the cooler. Inside this thing is a system of pump and flow divider, all sealed by thick rubber rims. The pump pushes the water into a cooler-part called a radiator or rad. There are two tubes, connected between the heat sink, the pump with rad. One of them will bring the hot fluid from the CPU to the rad. The rad divided into two paths, the upper half is the path of hot water. From here the hot water flows into the ultra-thin tubes inside the rad. Heat is diffused by the heatsink system made up of aluminum foil or copper foil, arranged in the form of fish gills. And similarly, hot water is gradually reduced by the fan system. There is currently three standard sizes of rad 120 mm, 240 mm and 360 mm corresponding with one fan, two fans, and three fans. Usually, when you buy the kit, you will be given two 120 mm fans, you can attach them on both sides. As the water flows down to the bottom of the rad, the pressure from the pump pushes the water back into the microtube of the other half of the rad. The water temperature is again reduced by the same process, cooling 2 times, once from left to right, once from right to left. When reaching the top of the rad, the water enters the tank and is fed into the cold-water pipe leading to the CPU. Speaking of cold, actually, the temperature of the water is not as 0, it is about 20 - 30 degrees Celsius. This cycle takes place continuously, and the CPU is regularly cooled, just like the mechanism of the air vent. 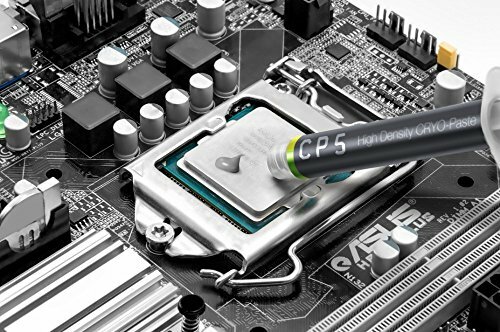 No matter what kind of cooling system you use, thermal paste is an indispensable and very essential component for the effectiveness of any cooling system. Whether you use air or liquid cooler, you still have to apply the thermal paste on the CPU’s cover before the placing the cooler on. But why? As mentioned above, the CPU conducts heat to the cooler through a highly thermal conductive contact surface. Although they appear to be a smooth surface, if placed under the microscope, we will see those surfaces uneven. Since the CPU cover and contact surface are both made of metal, it is clear that a metal surface cannot be completely flat because they always have small holes. Accordingly, we need a thermal paste to ensure that the cooler’s surface and the CPU cover contact utterly. Thermal paste has heat conductivity and also able to fill the tiny gaps between the CPU cover and the contact surface of the cooler. Thereby, it creates a flat contact, maximizes exposure area, resulting in highest heat transfer efficiency. Thermal paste is commonly made of silicon, carbon, ceramic or liquid metal such as silver. Some even use diamond dust to better heat dissipation. In the next post, I will provide a tutorial about applying the thermal paste and installing the cooler. If you have any question, feel free to leave a comment below, and I will try my best to answer.